Tesla is struggling to ramp up production of the Model 3 sedan, but that’s not stopping the automaker from thinking about its next vehicle, the Model Y crossover. And if a report from Reuters is accurate, Tesla wants to start production on that vehicle by 2019. In the same California factory as the Model 3. Which is supposed to be at capacity by then. Aaaaalrighty then. 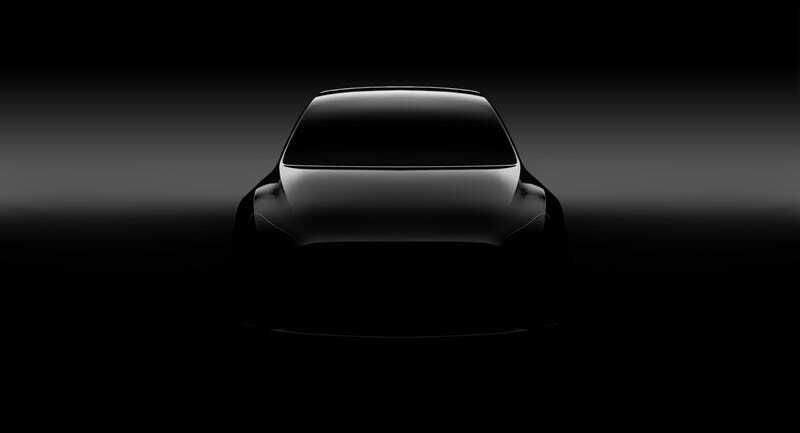 Citing two unnamed sources with knowledge of Tesla’s supply chain, Reuters reports the automaker is targeting November 2019 as the launch for production of the Model Y, with production in China beginning two years later. Tesla is accepting preliminary bids from supply contractors, Reuters says, and though it hasn’t provided a production timeframe, it reportedly plans to start building the vehicle at its current factory in Fremont, California. Aggressive is an understatement. Jalopnik reported last fall that Tesla raced ahead with a similarly aggressive production timeline for the all-electric Model 3 sedan, and the automaker’s been dealing with manufacturing bottlenecks almost from the outset. Tesla thinks it can ramp production up to 5,000 Model 3s per week by the summertime, the company said earlier this month. The repeated delays have inhibited Tesla from generating its anticipated revenue stream from the Model 3 and put it in a position where it may have to raise additional capital from investors by the end of the year, though the company advised it doesn’t expect to need additional funds. Tesla CEO Elon Musk said in February that it’s hoping to eventually produce one million Model Ys annually. The automaker’s Fremont plant is said to be able to handle a maximum half-million vehicles per year, though Musk has suggested he thinks Tesla could double that figure. Musk has a tendency to exaggerate, which is why this passage in the Reuters story stopped me in my tracks. And so, as we’ve said before, where’s it going to be built? Putting the Model Y on the same platform at the 3, sure, you could pump out a few Model Ys per day. But Tesla also plans to start production of a new semi in 2019. And a new Roadster in 2020, also, in ... Fremont, I guess? The Gigafactory, maybe? Where is all of this production happening? I’m pleading, anyone with info, please tell me. Tesla didn’t immediately respond to a request for comment on Reuters’ report.